Or, getting there was half the fun...We took the early morning flight out of Santiago to Cusco, transiting through Lima. There were six of us who left before the main group, perhaps an hour and a half earlier. This was quite fortunate for us, as the time to transit Lima customs, and then recheck our bags, was significant. We had a 2 1/2 hour layover, and we wound up getting to the gate with 45 minutes to spare. We waited for the other 31 to arrive, but given their short layover time, we assumed they had been unable to transit the airport in time. So, we got on the plane and headed to Cusco. Upon our arrival, we discovered that there had been engine trouble in the other plane, they had been sent back to the airport, and the next 3 hours were spent getting another plane and crew for flying. They wound up in Lima unable to make a connecting Cusco flight, and were put up by LAN in Lima for the night. Side note, if ever in South America, AVOID FLYING LAN! We arrived in mid afternoon, and took some time in the hotel to re-pack our bags so that they could be stored overnight, and then walked around the city before meeting up with friends to go to dinner. Most of the original buildings built by the Incas are intact, having survived multiple earthquakes thanks to the ingenuity of Incan architecture. The “newer” Spanish buildings have not stood the test of time as well. 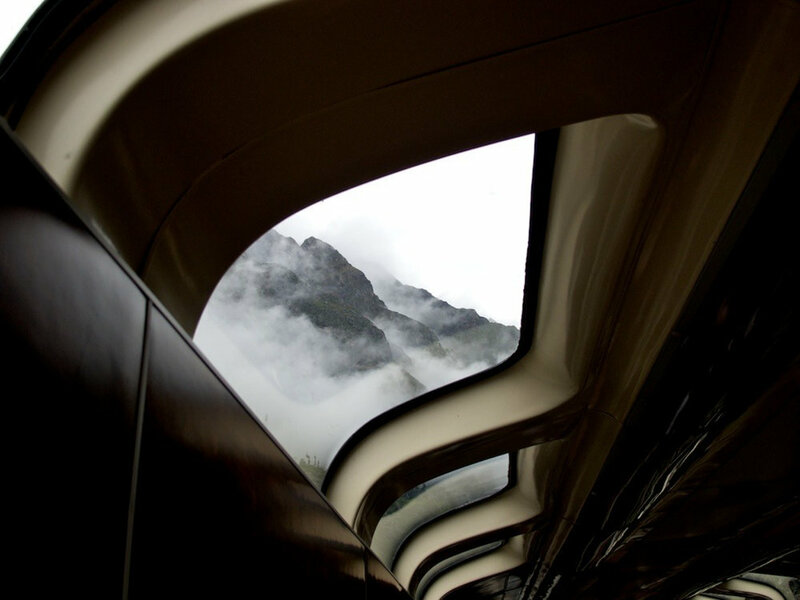 One member of our sextet, Randall, was having a very difficult time adapting to the altitude, and stumbled around the city as we went to dinner, muttering as we passed each location that had free wi-fi. And I thought Wayne was bad! Randall’s travel diary must be written on sites to visit based upon wireless access. 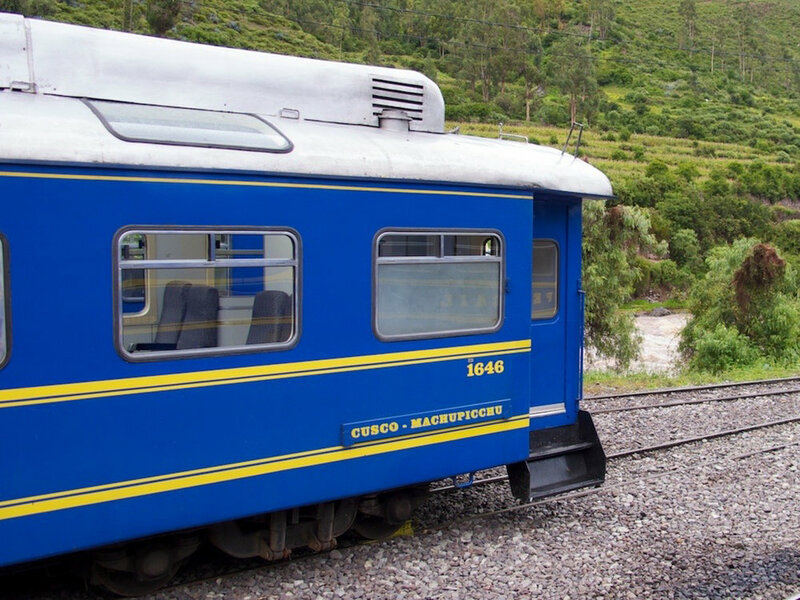 Perhaps a sip or two of coca tea might have helped him adapt a little more quickly! 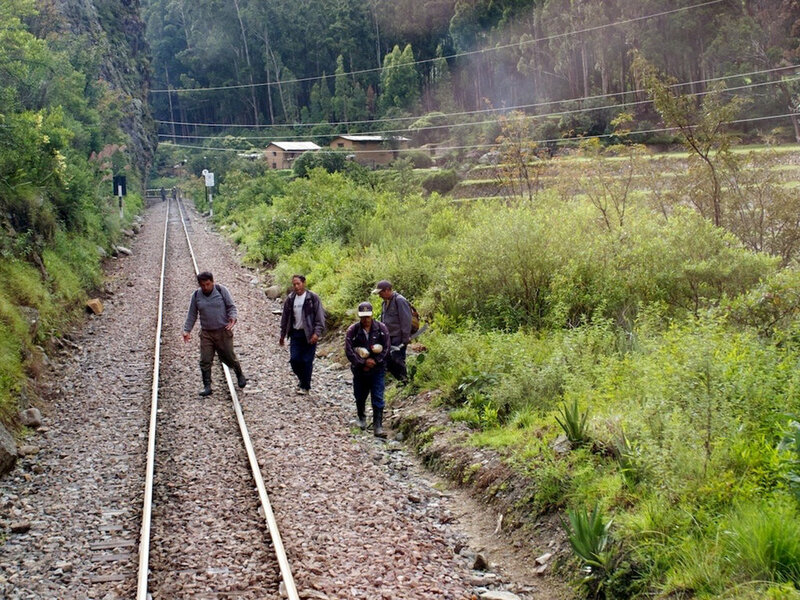 Thanks to the two hour time difference between Cusco and Santiago, we ate dinner fairly early, and then headed for an early night to bed, given that we needed to be up and out by 4:45 a.m. in order to catch the dome train to Machu Picchu. Dinner tonight really emphasized why we go on the Mac Geek cruises -- not necessarily to learn more about Mac, but to be with a group of people with similar interests, and to make new friends. Our dinner was at an Indian restaurant, aptly named “Indian Restaurant.” Randall complained about the lack of wi-fi access, I had to run back to the hotel to un-break the safe and get out our Sols, and we set out to enjoy an Indian buffet (except for Randall, who had ventured out for Alpaca meat earlier). During the dinner, the geek fest was on, in particular focusing on Star Trek. I mentioned that Wayne and I had met Patrick Stewart and the man who played George on Grey’s Anatomy during the Broadway Cares week in NY where they were performing in the short lived Mamet play “A Life in the Theater.” I commented on how short both of them are, and a discussion about height in general as it pertained to Star Trek actors. The conversation then moved towards the merits of which ST was better - the original or ST:NG. NG won, by a landslide, and a number of us started quoting from various episodes. Truly getting the geek on! Wayne just stared and laughed as the fanatics began their quotes. We even started talking about trade shows, and Randall really regaled us with tales from his Super Hacker panels, with alcohol rewards for good questions, and pizza smuggled in at midnight, with discussions going until 4 a.m. Then we started talking about the Big Bang Theory (no, not physics or astronomy, the TV show), and the number of Sci-Fi actors who come on just playing themselves (hello, Wesley Crusher!). Looks like a new series to watch! Cusco is in southeastern Peru, near the Urubamba Valley of the Andes mountain range. It is the capital of the Cusco region and province, designated the Historical Capital of Peru by the Constitution of Peru, and located on the eastern end of the Knot of Cusco with an altitude of around 11,200 ft. It was the site of the historic capital of the Inca Empire and was declared a World Heritage Site in 1983 by UNESCO. Many believe that the city was planned as an effigy in the shape of a puma, a sacred animal. Under the Inca, the city had two sectors: the urin and hanan. Each were further divided to each encompass two of the four provinces, Chinchasuyu (NW), Antisuyu (NE), Quontisuyu (SW) and Collasuyu (SE). A road led from each of these quarters to the corresponding quarter of the empire. Each local leader was required to build a house in the city and live part of the year in Cusco, but only in the quarter that corresponded to the quarter of the empire in which he had territory. According to Inca legend, the city was built by Sapa Inca (which meant leader or king) Pachacuti, the man who transformed the Kingdom of Cusco from a sleepy city-state into the vast empire of Tahuantinsuyu. Archaeological evidence, however, points to a slower, more organic growth of the city beginning before Pachacuti. The city fell to the sphere of Huascar in the division of the empire after the death of Huayna Capac in 1527. It was captured by the generals of Atahualpa in April 1532 in the Battle of Quipaipan. Nineteen months later, Spanish explorers invaded the city. layers of cultures, with the old Tawantinsuyu built on Killke structures, and the Spanish having replaced indigenous temples with Catholic churches, and palaces with mansions for the invaders. 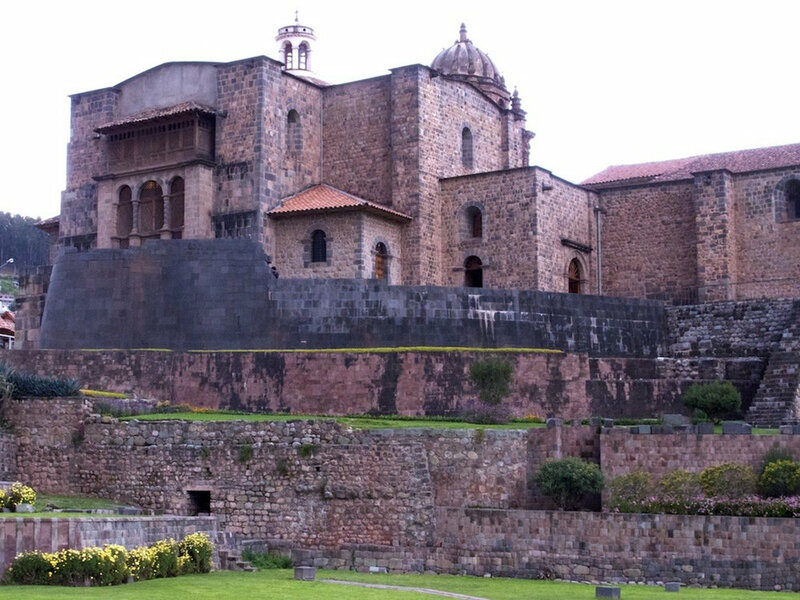 Cusco was the center for the Spanish colonization and spread of Christianity in the Andean world. It became very prosperous thanks to agriculture, cattle raising, and mining, as well as the trade with Spain. The Spanish colonists constructed many churches and convents, as well as a cathedral, university and Archbishopric. Just as the Inca built on top of Killke structures, Spanish buildings were based on the massive stone walls built by the Inca. A 1950 earthquake shook the city, causing the destruction of more than one third of the city's structures. Later, the city began to establish itself as a focal point for tourism and began to receive a greater number of tourists. Since the 1990s, tourism increased, and the hotel sector subsequently expanded. Currently, Cusco is the most important tourist destination in Peru. The city's urban sprawl is still expanding, having extended to the San Sebastian and San Jeronimo districts.